In August 2014, we took a big step toward upgrading and modernizing our electric infrastructure by installing the first smart meter in our service territory. Last week, our Smart Grid Initiative (SGI), reached a major milestone – 500,000 devices installed. Long before smart phones, Wi-Fi, GPS and drones, there was electricity. You can make the case that the “electrical revolution” propelled us into a modernized society. However, the way electricity is delivered to homes and businesses has, for the most part, not changed since the days of Thomas Edison. In the last decade, electric providers have made improvements to the way electricity is delivered and its reliability and safety. We want to make sure our customers have access to the many benefits of a modernized grid. The smart grid is made up of three main components: a communications network of devices installed on utility poles, street lights and substations; an advanced distribution management system, which allows us to remotely manage the grid and smart meters, which will be installed on customers’ homes and businesses and will communicate wirelessly through a communications network. 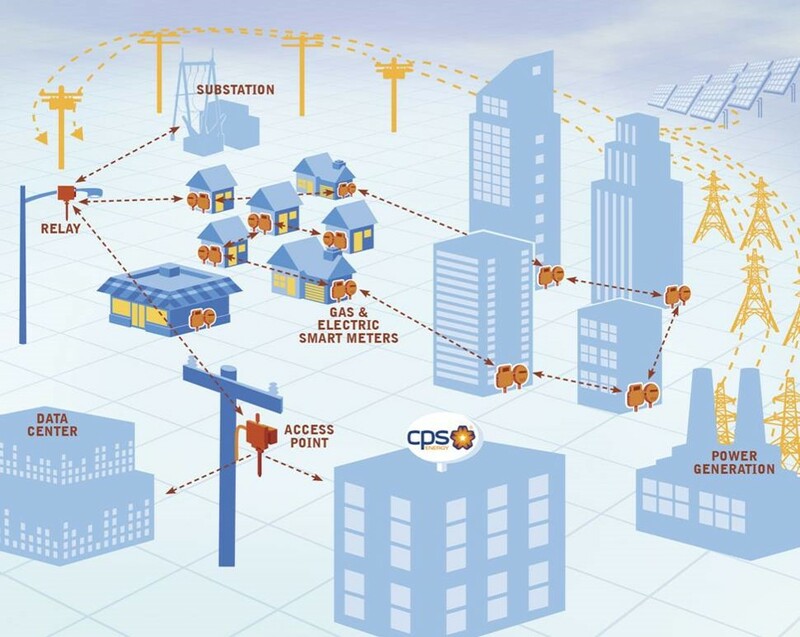 How does the Smart Grid benefit you? Manage Your Energy: through a secure portal, you can see a detailed hour-by- hour breakdown of your energy use; energy-efficiency tips, customized plan to save, and more. If you haven’t already, sign up for our free Manage My Account service at cpsenergy.com and click on the My Energy Usage tab. Outage Alerts: the smart meter sends us an alert when your power goes out. Faster Restoration: with automatic outage reports, our crews can respond to isolated outages quicker making power restoration more efficient. More Privacy: After 1-3 months of validation, meter readers will no longer need to enter your property to read the meter. Periodic maintenance will still occur when needed. We are proud of this milestone, that puts us halfway through our total installs, but we know we have a lot more work to do. We welcome the opportunity to engage with Homeowners Associations and Civic groups to begin a conversation allowing us to highlight the amazing information and benefits at your fingertips.